Canopy palm. Stem solitary, to 20 m tall and 35 cm in files; pinnae 230-260 on each side, arranged in groups of 2-6, pendulous in several planes and giving the leaf a weakly bushy appearance, the central ones 130-150 cm long and 6-8 cm wide, with prominent cross veins. Inflorescences curved to pendulous, 150-200 cm long; branches 700-800, to 25 cm long. Male flowers cream coloured, with inconspicuous perianth and 6 stiff, needle-like stamens, 6-8 mm long. Female flowers ca. 20 mm long. Fruit orange with a brown indument, ca. 5 cm long, with 1-3 seeds. 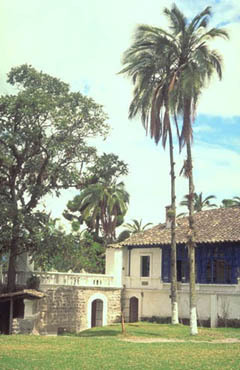 Widespread in lowland South America E of the Andes, in Colombia, Ecuador, Peru, Bolivia, and Brazil. 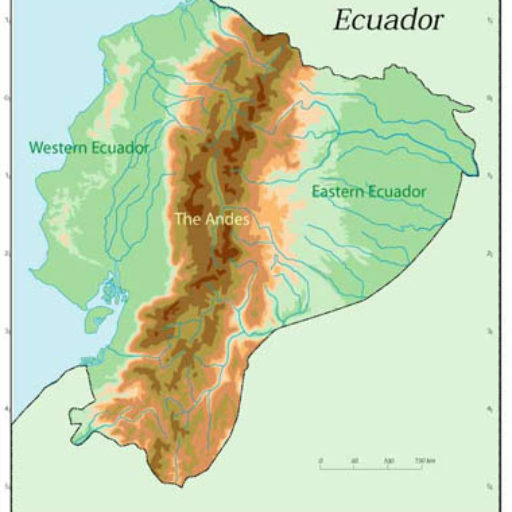 In Ecuador it is common on well drained, non-inundated soils in the eastern lowlands. 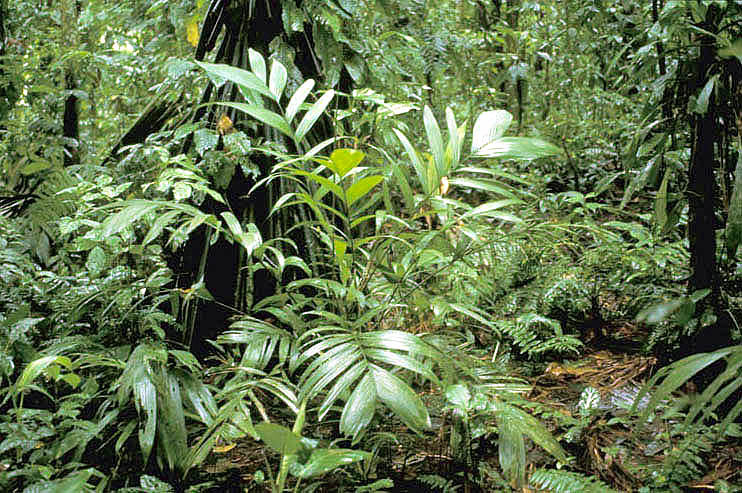 Adult plants are usually scarse, but juveniles may be quite abundant in the forest understorey.